It’s one of the oldest and toughest questions for monotheists. If God is all-powerful, and the world has evil in it, then God is responsible for that evil. Creationist leader Ken Ham recently argued that only a young-earth attitude can explain away this problem of theodicy. Of course, theologians and atheists have wrestled with this challenge for centuries. Ham, the well-known leader of Answers In Genesis, explained recently that other forms of creationism could not handle the challenge. Intelligent Design, Ham argued, fails because it argues only for a vague creator. If there is only a bland, inexact creator, then Fry’s challenge is correct. He, or She, or It, must have created everything, including evil. then He is responsible for all the death, suffering, disease, extinction, pain, cancer, and other evils in this world. Only a young-earth approach gives a satisfying account of the origins of evil. In Genesis, as Ham reads it, God’s original creation was evil-free. Only when the sinful choices of Adam & Eve introduced evil into the world did things go awry. For this to make sense, Ham says, we need a real, literal Adam & Eve. We need to take God at His Word. Otherwise, jokers like Fry have the last laugh. 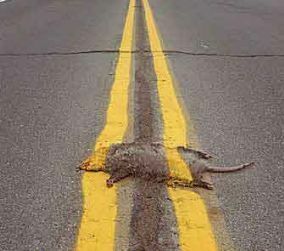 You know what they say about the middle of the road: you won’t find anything there but yellow stripes and dead armadillos. In the creation/evolution debates, the John Templeton Foundation has staked out some ground in that dangerous middle. And predictably, the only thing that fervent creationists and obstreperous atheists can agree on is that the Templeton Foundation is terrible. serves as a philanthropic catalyst for discoveries relating to the Big Questions of human purpose and ultimate reality. We support research on subjects ranging from complexity, evolution, and infinity to creativity, forgiveness, love, and free will. We encourage civil, informed dialogue among scientists, philosophers, and theologians and between such experts and the public at large, for the purposes of definitional clarity and new insights. Is “compromise” a compliment or a curse? Here at ILYBYGTH, this seems like an eminently worthwhile project. Time and time again, we have seen that science and evolution can wear very different cultural faces. Why bundle together ideas that do not necessarily have to go together? Why feed conservative worries that any understanding of science will somehow doom their children to atheism and immorality? Why not help Christians learn evolution? Why not recognize that some “creationists” really do embrace evolution? Why not listen to the life stories of Christians who have learned that evolution is not the devil spawn they were led to believe? Partisans disagree. The Templeton Foundation has become the target of angry attack from the hardened edges of both creationism and atheism. instead of pointing people to answers from God’s Word about history, organizations like BioLogos and the Templeton Foundation are actively discrediting the Bible’s history. Instead of encouraging people to start with God’s Word, they praise those who impose man’s ideas into the Bible. let it be not a constructive dialogue but a destructive monologue, one in which science’s efforts knock the props out from under faith, one by one. And religion has nothing to say to scientists, at least nothing that will help us in our work. All religionists can do is educate us about the nature and influence of divine fairy tales that have inimically influenced world culture. Do we really need that? Now, just because the Templeton Foundation has united both atheists and creationists against it doesn’t prove that the foundation is doing the right thing. But it seems logical to me that if our goal is to help people of every background understand the science of evolution, we should not spurn allies who promise to help. If theologians and scientists can come together to improve public understanding of what the Templeton Foundation calls the “Big Questions,” it seems to me an excess of self-righteousness to oppose it. Can We Teach People to Be Atheists? What would the world’s smartest atheist do if he ruled the world? Easy. Teach young people to be atheists. high quality, non-ideological education for boys in girls in every community on the globe. If we could just liberate the world’s children from illiteracy, ignorance, and superstition, their curiosity would lead them to solutions that were both locally informed and sensitive . . . Sounds good, but as Dennett recognizes, the devil is always in the details. As Dennett acknowledges, there is no way to impose the atheistic truth on people without generating overwhelming opposition. Not that Dennett wouldn’t do it if he could. If education could be injected like a vaccine, Dennett says, he’d be in favor of forcing it on people. But it’s just not that easy. Though Dennett talks sense, it’s difficult not to be creeped out by the iron fist Dennett prefers not to use. Those who disagree with his notions of proper knowledge are politically powerful, he acknowledges. But if it weren’t for that political power Dennett would prefer to see them purged of their “benighted attitudes.” At some point in the enlightened future, Dennett implies, such people, the “Billions of people in the world [who] don’t see that yet,” will be somehow convinced to join the side of atheistic truth. To be fair, though, the question lends itself to dreams of dictatorial ambition. What would you do if you ruled the world? Would you have the restraint that Dennett does? Would you recognize that the solutions you’d want to impose on the world’s problems might just cause more problems? What would happen to an atheist student at a conservative Christian college if his professors and peers found out about his lack of faith? Turns out, not much. That was the experience of Eric Fromm, at least, at Oregon’s Northwest Christian University. Fromm, the student body president at the 600-student school, worried about the reaction when he “came out” as a non-believer. students who are looking to explore their faith and willing to look hard and make their faith their own. . . . If we all had our wishes, we wish Eric would be a strong Christian man. . . . We’re an open and welcome community, and we meet students exactly where they’re at. Those of us from outside the world of conservative Christian higher education might be surprised by Fuller’s and NWCU’s open attitude. After all, Fromm himself wondered what kind of reception he’d get when he publicized his atheism in the school paper. Maybe we shouldn’t be. After all, Fromm’s story is not unique. ILYBYGTH readers may remember the testimony of Brandon Ambrosino, who reported his experiences at Liberty University. Ambrosino, like Fromm, fretted over his decision to come out as homosexual at the rigorously conservative Liberty. Like Fromm, Ambrosino found his faculty mentors downright supportive. If the mission of many conservative colleges is to provide a “safe” theological environment for students, one that will support their faiths, then we’d expect faculty and administration to take a harsh line against students who thwart that mission. An atheist student or an openly gay student would seem to introduce threatening elements into that safe environment. That would seem doubly true if the atheist were popular and influential, as Fromm seems to be. In practice, however, conservative schools seem well able to handle student dissent.